So I’ve decided to give them a second chance. 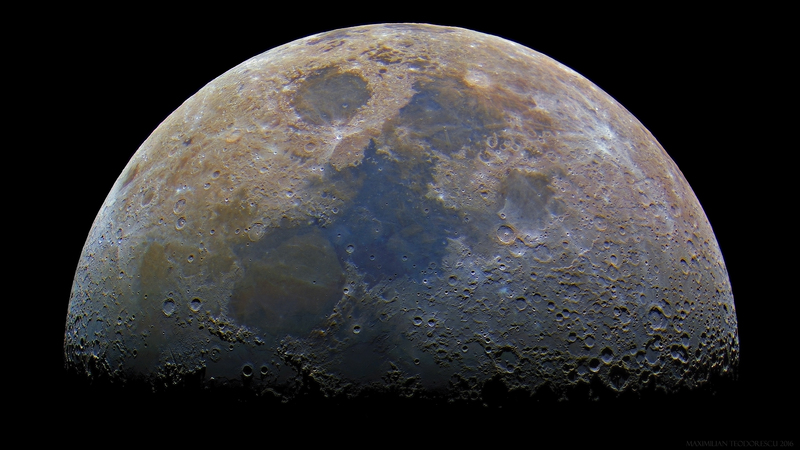 First shot shows the Moon of February 15, 2016. 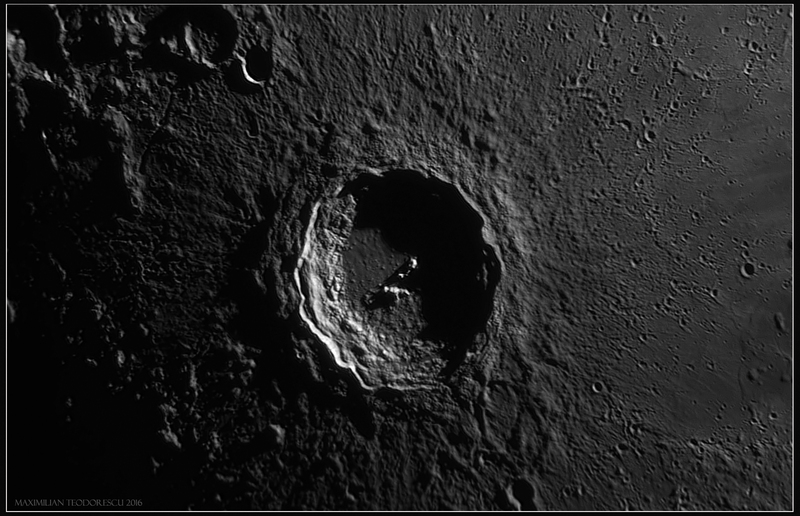 The scope used for the image was the 115mm APO refractor and the ASI174MM. Color was added using RGB sequences made with the same equipment and filters. 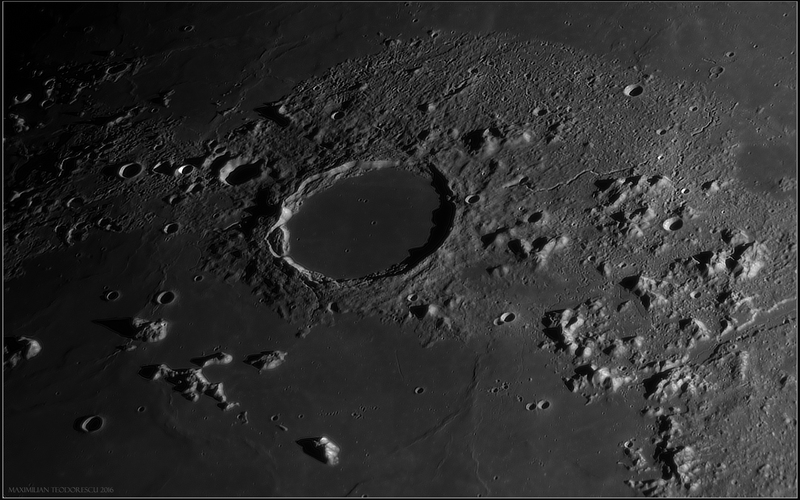 The second and third shots were acquired on March 18, 2016, using the 355mm Newtonian under poor seeing conditions. 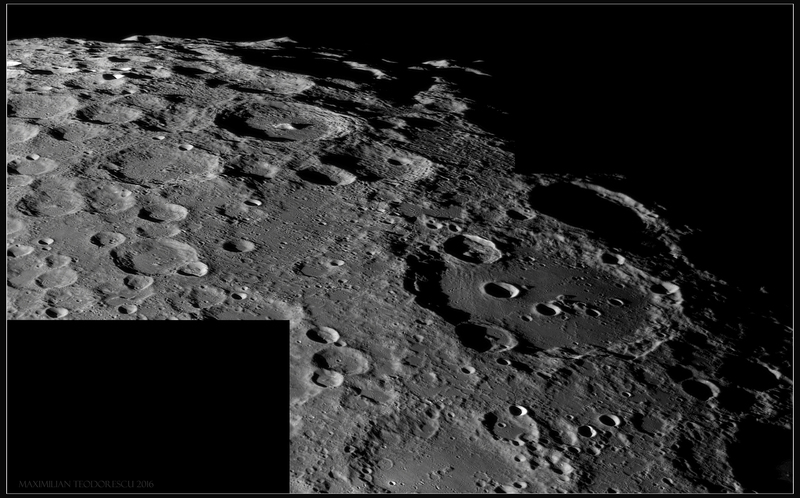 The color data added onto the Copernicus image was extracted from this mosaic. The equipment: 355mm F/5 Newtonian with 3x and 2x Barlow lenses (F/15 and F/30), and the ASI174MM camera with a green filter. Seeing 7/10. Goodbye 2529! This is perhaps my last shot of 2529, at least for this rotation. The seeing was poor most of the time. Luckily I’ve managed to find a few hundred frames that showed the granulation and details inside the penumbra rather well. 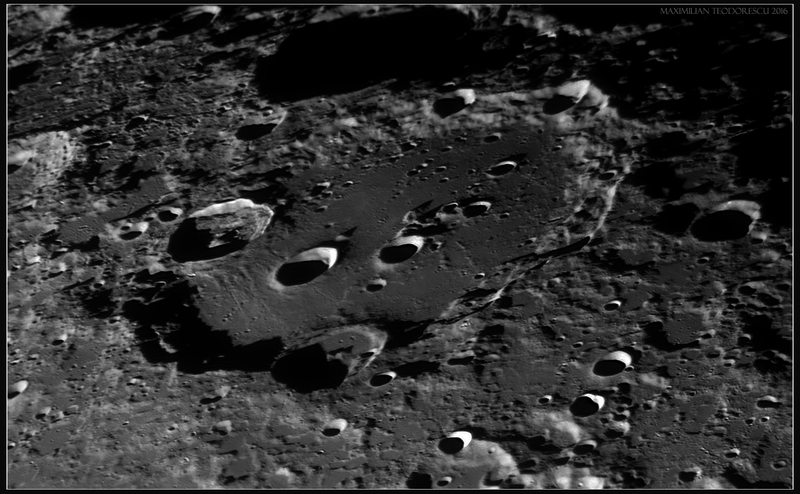 Look at the happy face appearance of the spot, it changed from a heart-shape to a smiley:) This was imaged with a filtered 8 inch scope (200mm, F/5 Newtonian) and ASI 174MM camera with a Red filter. 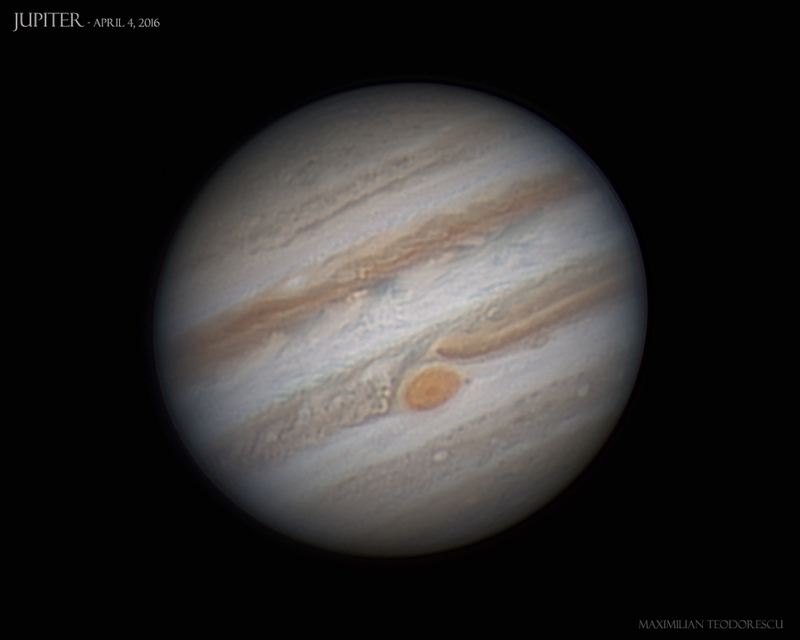 On April 13, after a long solar imaging session (see the previous post) I had to drive fast to a location 40 miles away from my usual observing place. 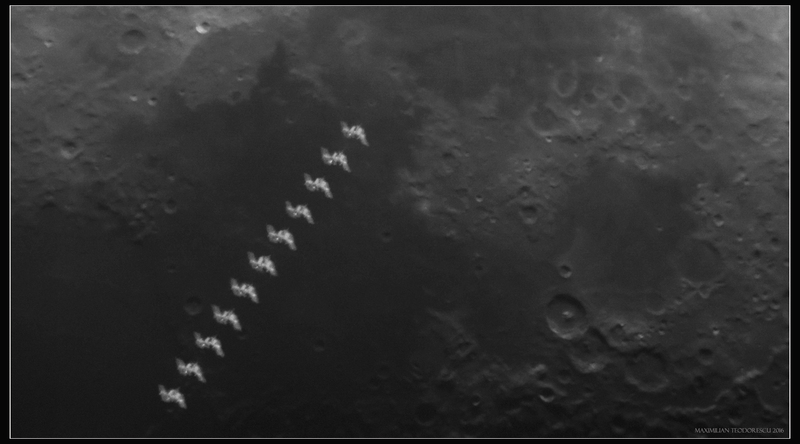 The reason for this re-location was a transit of the ISS over the Moon, during daytime. 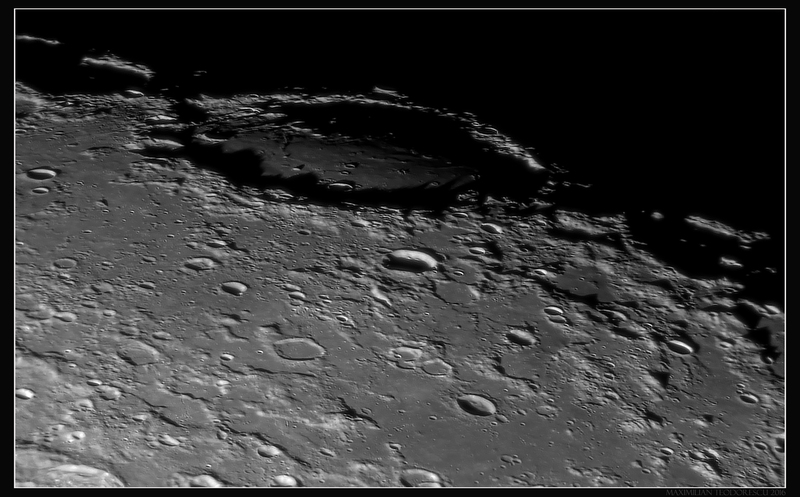 Despite the bad seeing conditions and the cirrus clouds rolling in, I still got a series of frames showing the ISS passing close to the trio of crater Theophilus, Cyrillus and Catharina (lower right corner in the images). The setup for this transit: 115mm F/5 TS APO Refractor, 3x Barlow lens, ASI 174MM camera with no filters. And of course, the animation. Notice that some frames are missing (at the beginning of the pass) due to technical problems with the laptop (it actually shut down only 10 seconds after finishing the acquisition for this event!). 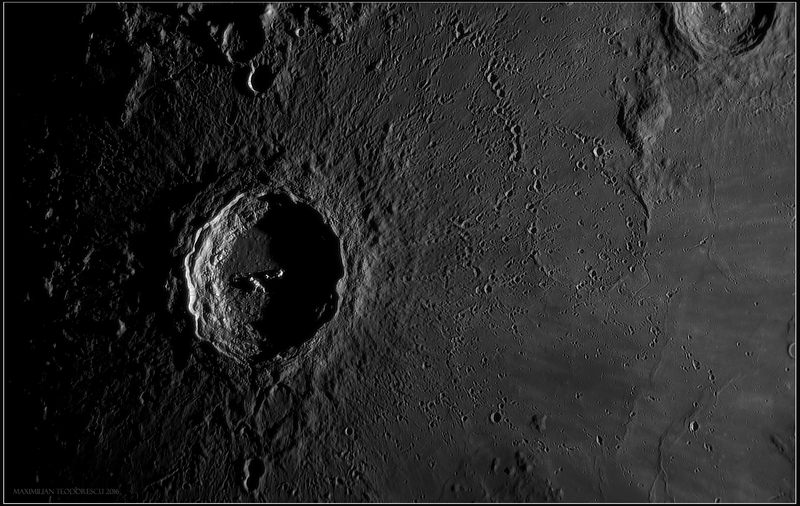 Today was a good day for…Astronomy! 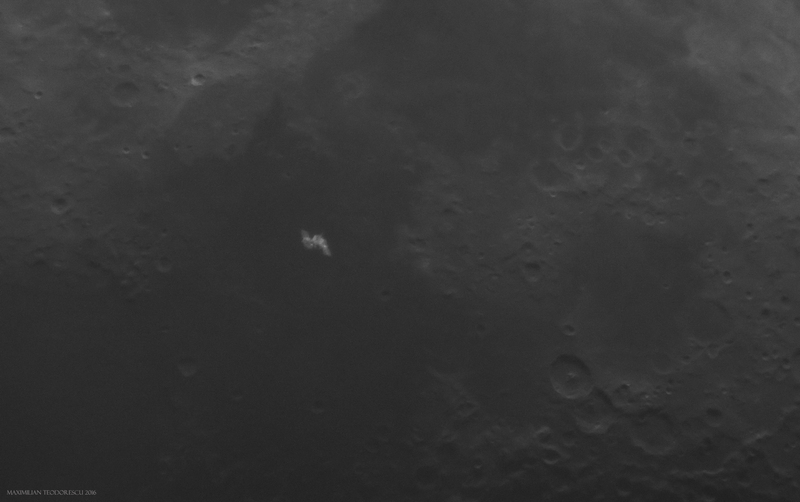 After spending a few hours with the great sunspot AR2529, I drove a few tens of miles to a different location from where I could catch another ISS transit, this time over the Moon. 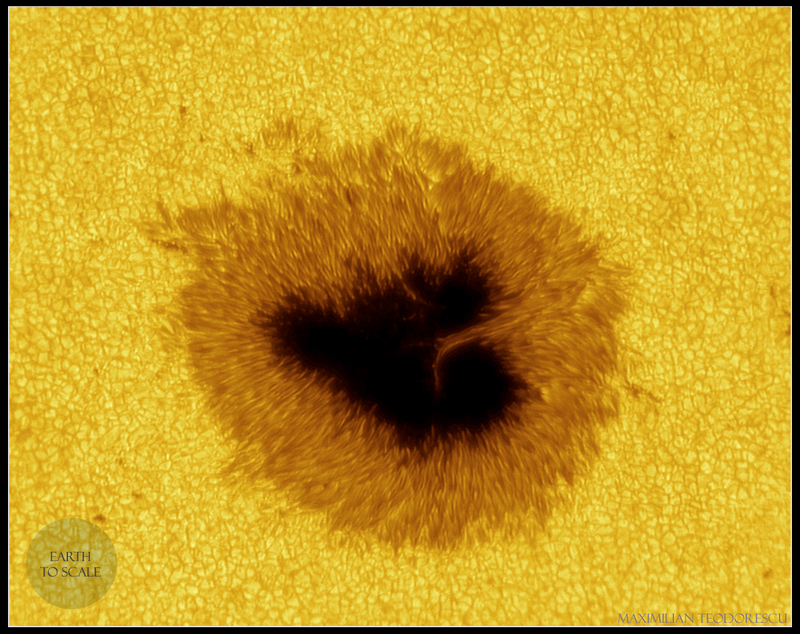 But for now, since I still have to process all of the 160 Gb of data acquired, I shall post only an image depicting the very large sunspot 2529. 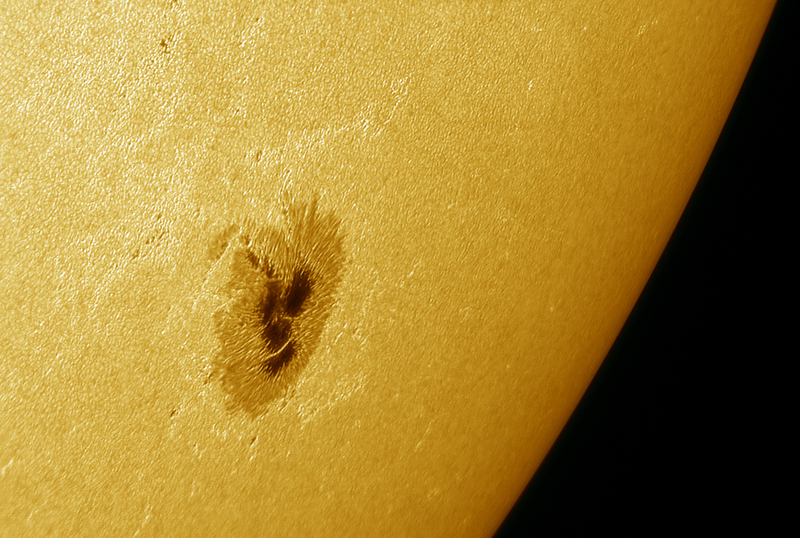 This image is my best High Resolution image of the Sun’s surface until now. 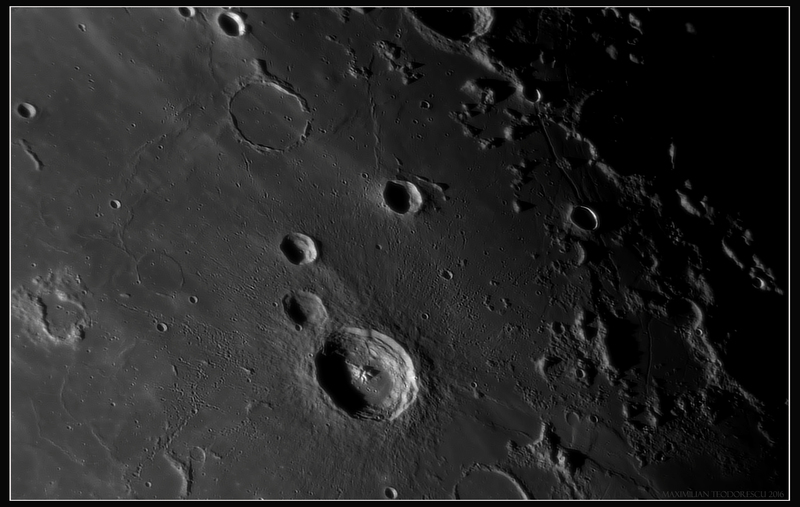 The image was acquired using a 355mm F/5 homemade Newtonian with Baader Astrosolar filter, two Barlow lenses (a 2x TeleVue Powermate, and a Baader 2.25x), and the ASI 174MM camera with a Red filter. Seeing was very variable, but with excellent moments during brief 2-3 second periods. 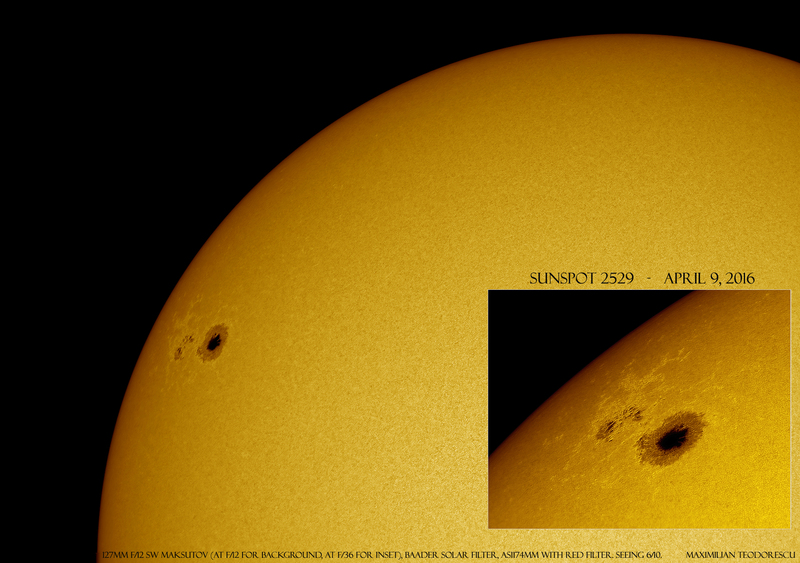 Some new shots of the AR 2529 session from April 13. 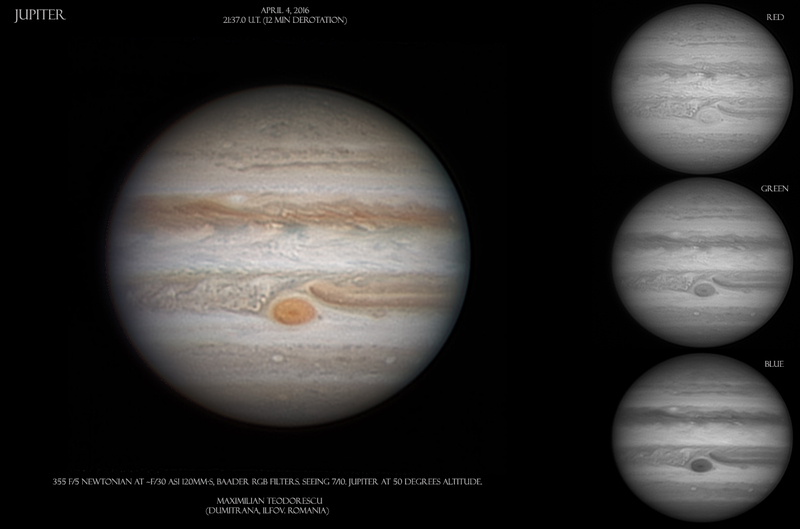 First image is a comparison between two views acquired with the 200mm F/5 Newtonian (some time before the above-posted images were acquired) and the reprocessed image acquired with the 355mm Newtonian; this comparison shows well just how much more details are observable due to the larger size mirror of the 14 inch scope. 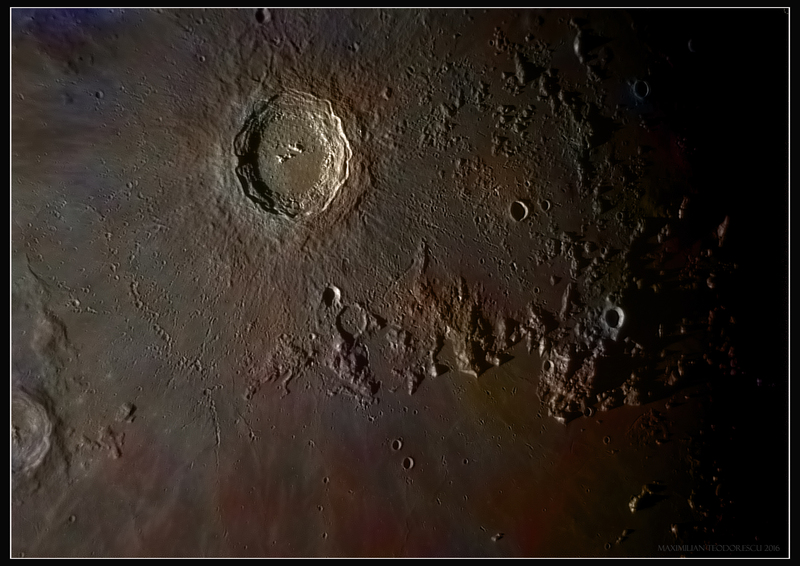 And two reprocessed images with the 14 inch scope; this time the processing was a bit more aggressive. 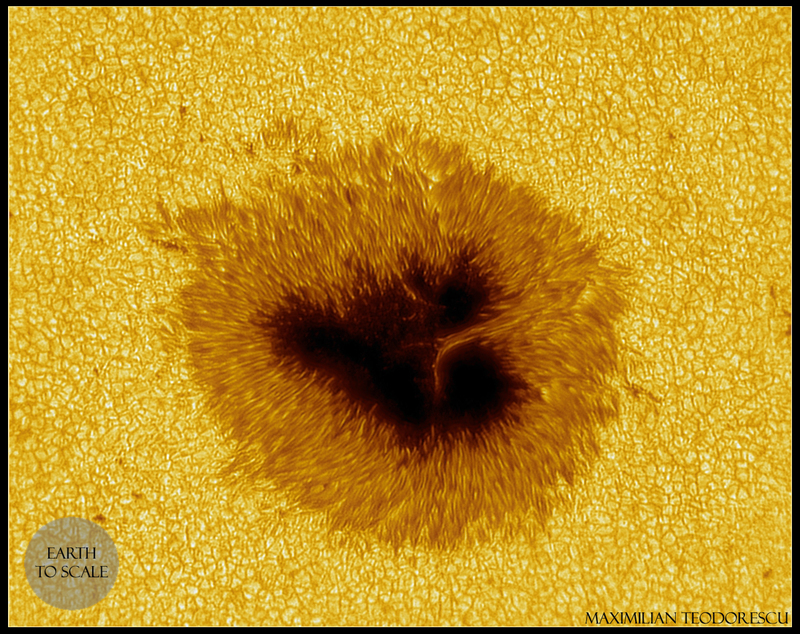 A rather large sunspot has just appeared on the Sun. 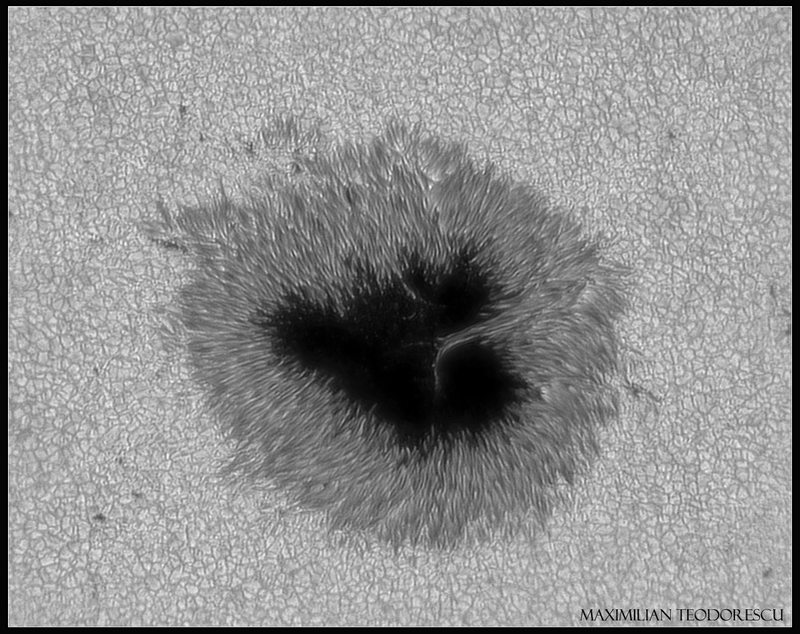 While on a short trip into the woods, I had some time to look and image this great sunspot through a small 127mm Maksutov telescope and the ASI 174mm camera. Not the best seeing, but the large sunspot is a nice sight even on poor conditions. All technical data on image. 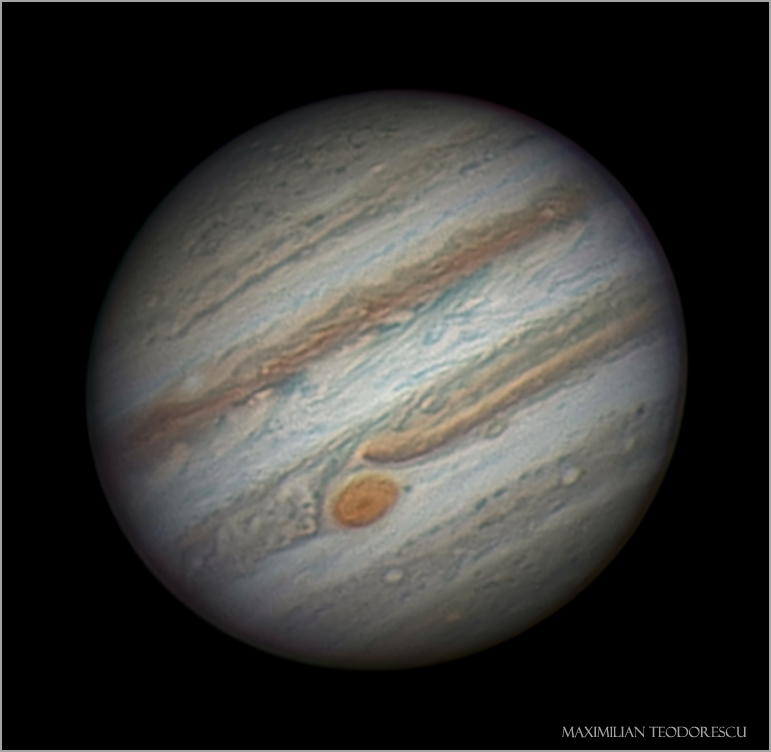 It’s been some time since I had some good seeing while imaging Jupiter. 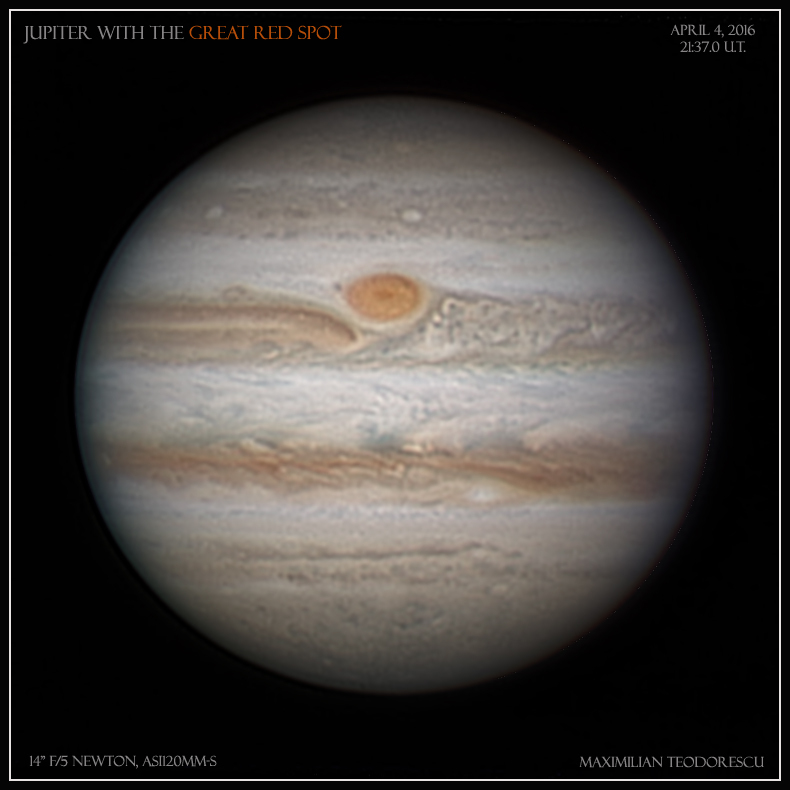 On the night of April 4/5 I had some good seeing moments that allowed me to image the giant planet together with its Great Red Spot. The equipment: 355mm F/5 Newtonian at F/30 (approximately), ASI 120MM-S camera with Baader RGB filters. 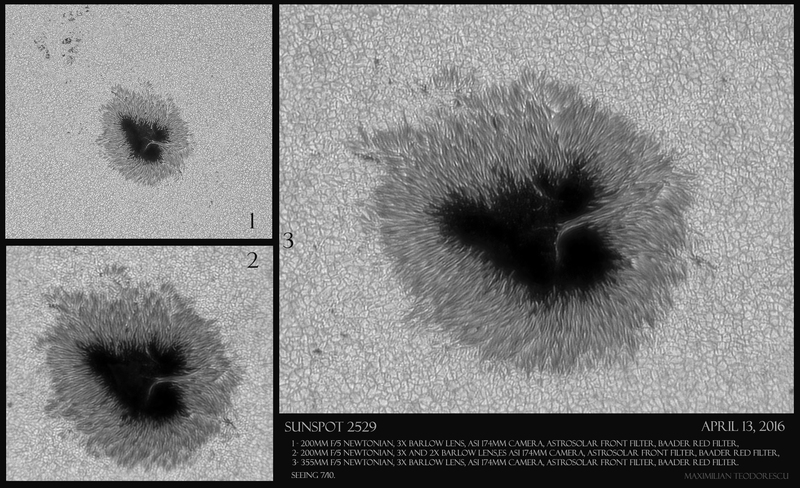 All processing done with Autostakkert!2, AstraImage Pro, Winjupos. Post editing (titles, frames) done in PS CS2. 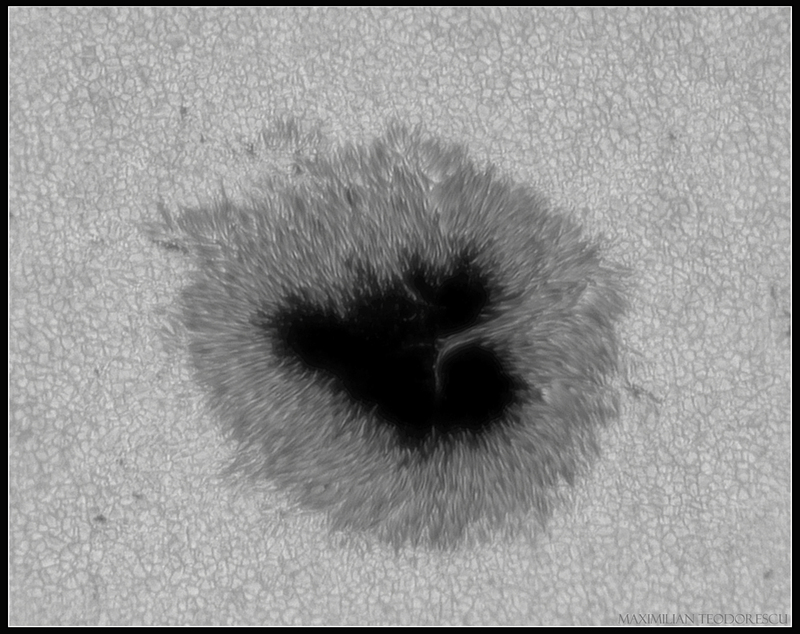 Finished processing the ASI 164MM data from the same night, acquired a bit earlier than the ASI 120MM-S data.